If you were connected to an organization to which people would have to apply for positions of any kind, then you might need different application forms and templates in order to streamline the process. That can apply for applications for jobs and schools, but it is just as possible for you to use application templates in Word to make less prominent kinds of applications such as apprenticeship applications. 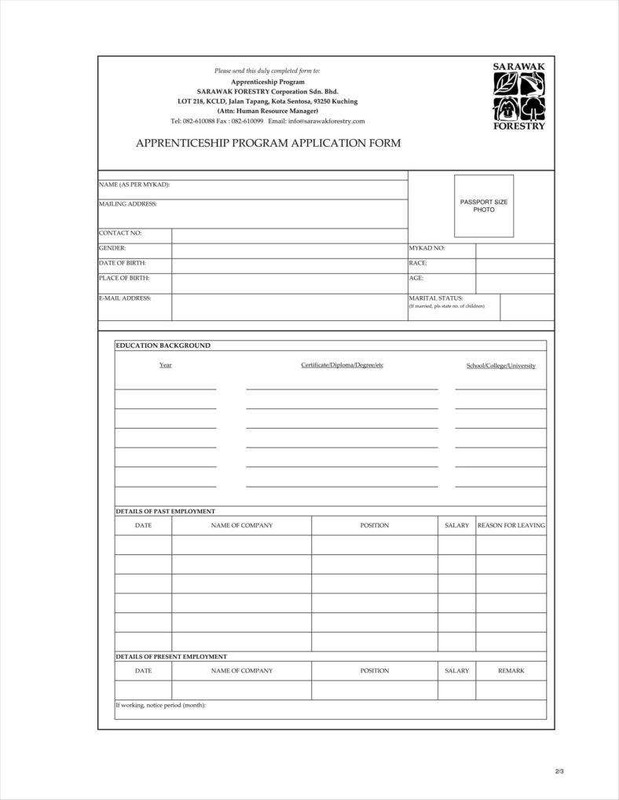 There are indeed application form samples for apprenticeship applications if you need to keep a consistent template. After all, while there might be some similarities to school or scholarship applications, they are distinct enough that you should have a specific template to suit the particular needs of each kind of form. And if you are going to make such forms, then it would pay to know exactly what elements might make up the forms so as to ensure that you can make your forms as properly as you can. 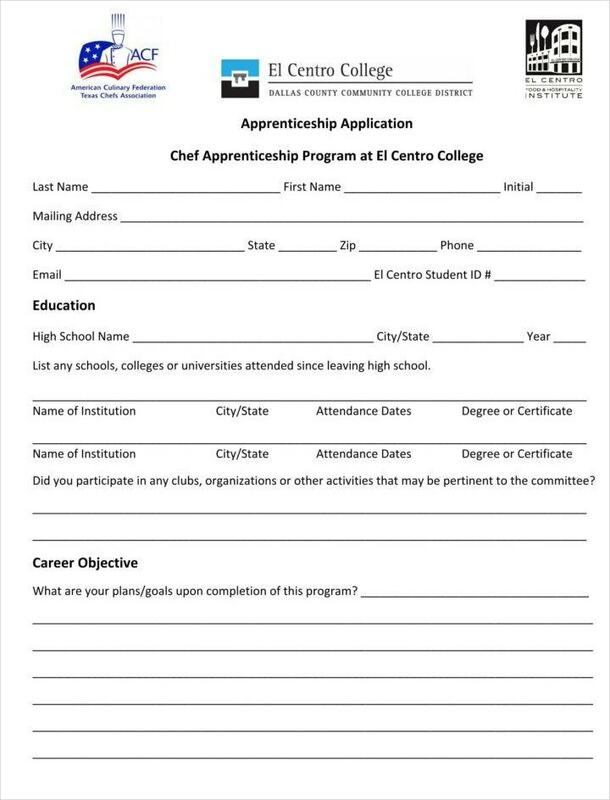 Similar to the example of free application letter templates, an apprenticeship application form is implicitly a statement by the applicant of their intentions to be part of the program. 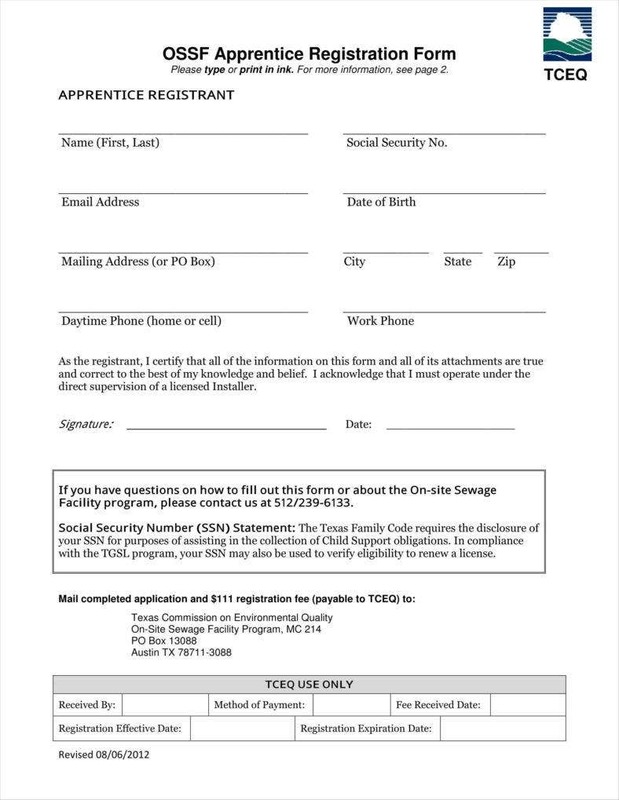 It may not be said as directly as a cover letter or some other similar document, but the very fact that the applicant fills out the form with their qualifications and other necessary requirements is to be taken as a desire to apply as an apprentice. After all, the applicant does hope for success, which would mean acceptance into the program. 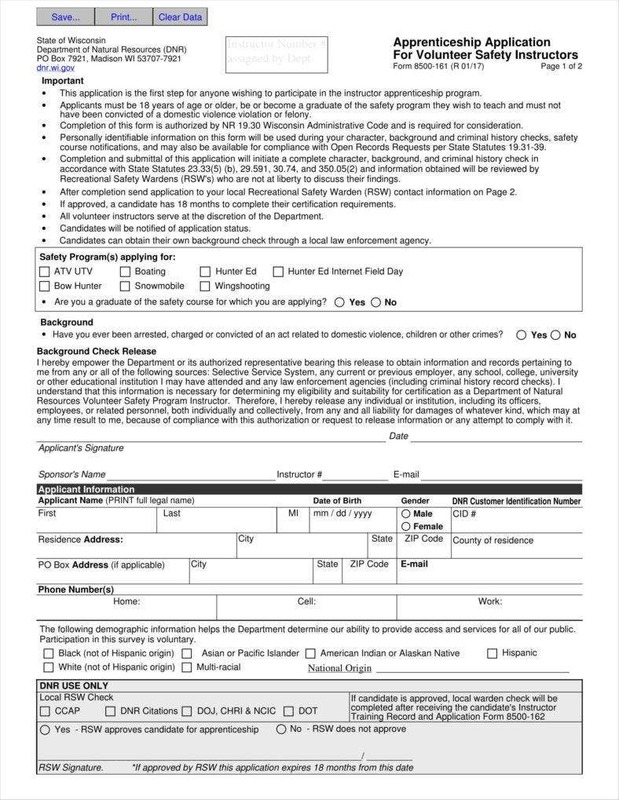 Besides, the applicant even goes so far as to put their name on the form, which takes away any ambiguity about what the applicant hopes for by sending the application in the first place. The apprentice application forms can also benefit you in that they can let you verify any claims put forward by the applicants. After all, it is to be expected that you would cross-reference any claims the applicant makes just to check their veracity. You can see the same thing in job application forms as management would have to check any claims themselves. This should be a fairly simple task given that the applicant should have provided references that you can check in order to verify that their claims are correct. All kinds of application forms are also necessary tools for your screening process. This is true of apprenticeship application forms and sample school application forms alike. After all, you would be expected to collect all the application forms and check them to find those applicants that you would find most desirable. If you had to choose applicants for your program, then it is only natural that you would try to get your hands on the most suitable or attractive applicants in order to make the most of the opportunity. Besides which, having exacting standards only makes it more likely that your choices will eventually finish the program, meaning that they are most likely to pay off. In some sample application forms, you may have to include some instructions for the benefit of your applicants. This is not a universal condition, but it can pay to give some measure of direction to guide your applicants, particularly if they do not have too much experience of how the program works. To that end, your forms can help them understand some of the steps that would need to be taken in order to apply for the apprenticeship properly. This may not sound as relevant, but your apprenticeship application forms should also take the time to include contact information, both on your part and your applicant’s. This can be beneficial to both of you. If your application ever needs to get in touch with you at any point, or if you need to contact the applicant in the event of their acceptance, then the inclusion of the contact details can facilitate that kind of contact and avoid any kind you and your applicants missing one another. Which Professions Can Use Apprenticeship Application Forms? One undeniably useful element to understanding how to use apprenticeship application forms is knowing which professions are in a position to use them. Much like sample internship applications, apprenticeship application forms can be used by a number of different professions, each with different qualifications and requirements. As such, it should help to know exactly about these professions in order to be sure that you can use your forms to the fullest. 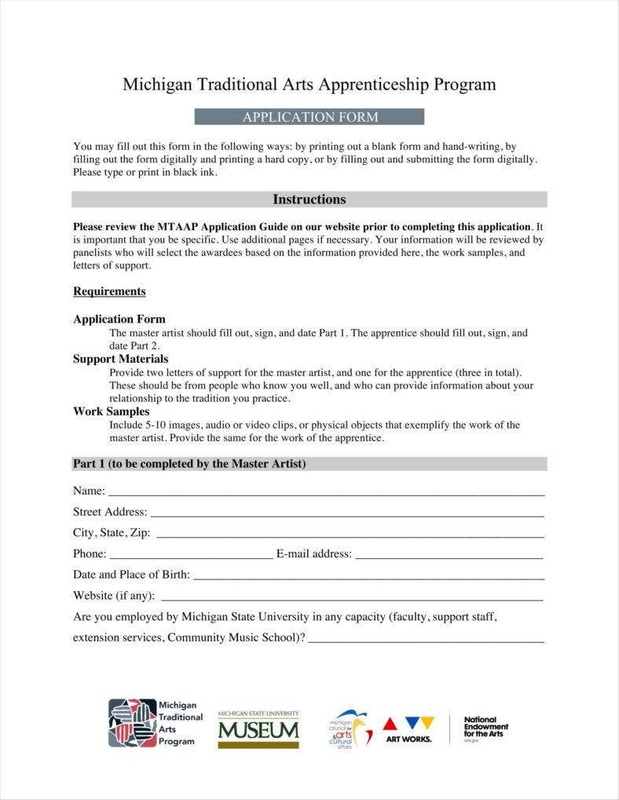 There are specific application templates for an apprenticeship in the arts. After all, there are a number of things that need to be made clear as part of the process of applying for this kind of apprenticeship. For one, you would need to be assured that the applicant has a solid background in the arts. This is only natural being that the applicant would be working closely with the artist mentoring him. To that end, you would need some assurances on the applicant’s qualifications, as well as their willingness to study under that particular artist. You would need similar assurances from the artist so that you could be assured that he is really willing and able to take on the applicant as an apprentice. Forestry, being that it is concerned with the proper maintenance and responsible use of forest resources, also maintains apprenticeship programs and their associated forms. This can help ensure that prospective foresters can get hands-on experience in the field. After all, it is important that foresters have a good understanding of the forest as part of their training. 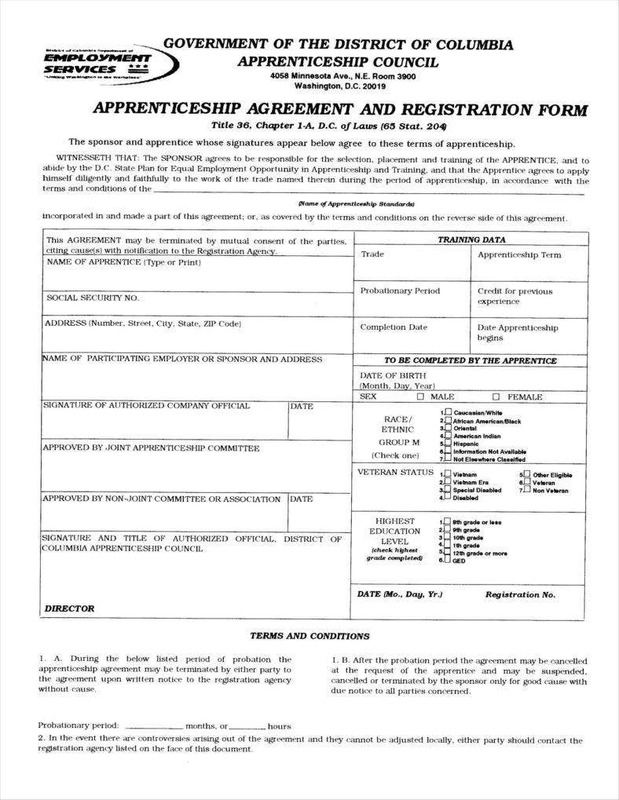 An apprenticeship form can also make it possible for you to determine how physically fit applicants are, which would be necessary for you to determine if they can actually keep up with the physical demands of the apprenticeship. 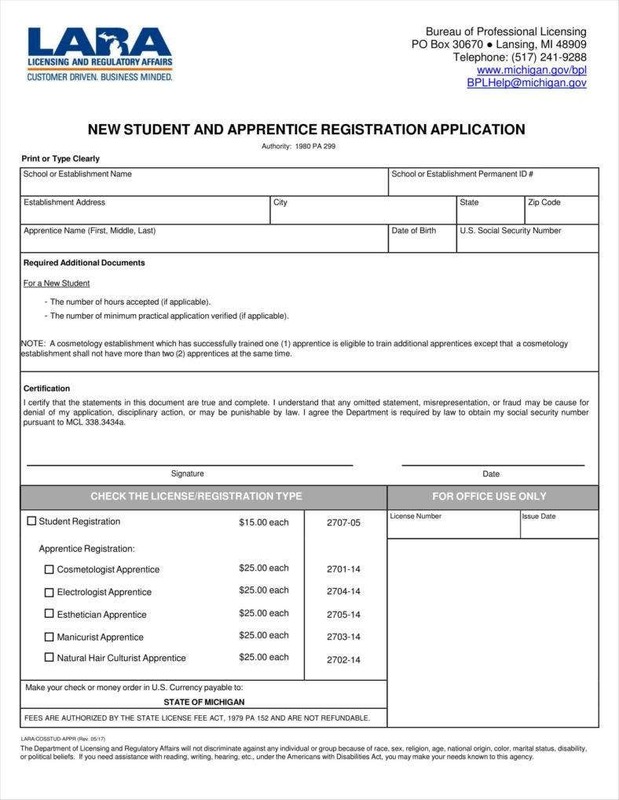 After all, the applicant’s answers on the apprenticeship application form should inform your decision to accept them into the program. 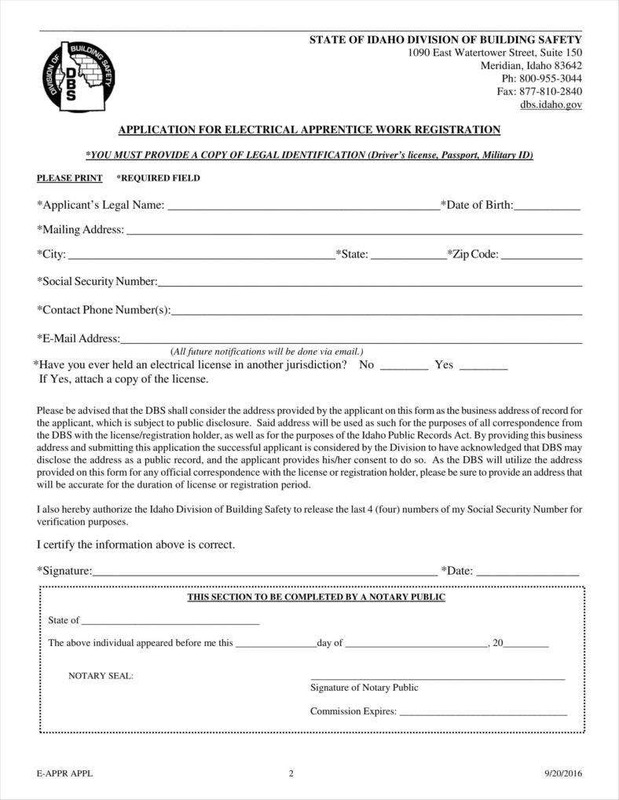 Some electricians also maintain their own apprenticeship application forms. Like similar professions, it is possible for apprentices to learn from experienced mentors on the job. Of course, that also implies sample sponsorship applications as aids so that applicants can have the opportunity to find a sponsor to vouch for their application. It is particularly important that your own apprenticeship application forms make sure to ask after applicants’ educational level. This is particularly vital so that you can screen applicants and be sure that they have the appropriate background for the job since working with electrical wiring can be a fairly complicated job. 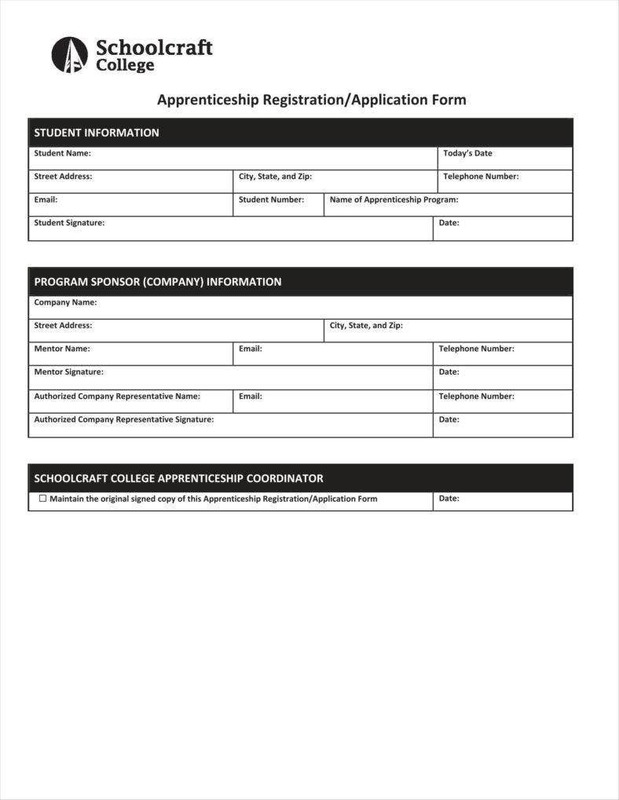 Some school programs for cosmetology and similar fields also use their own apprenticeship application forms in order to allow students to find an appropriate place to pursue their studies and gain practical experience. 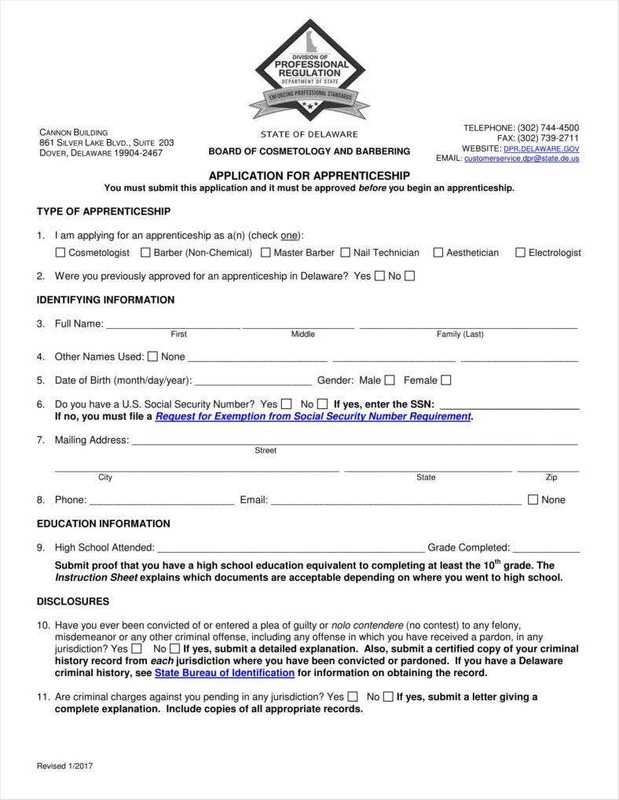 Like editable employee application forms, you would have to make sure that you suit the given field such as cosmetology, barbering, electrologist, or something else. After all, there are different aspects to the field as a whole, much like other fields like science. In this case, it would be important that you specify the particular field in order to be sure that applicants are apprenticed to the appropriate mentors. You may also use scholarship application forms and apprenticeship application forms for culinary arts. This is unsurprising when you consider the prudence of having aspiring chefs learn on the job. In such cases, you would also need the forms to check applicants’ capacity to deal with the technical aspects of the job as well as the stress. Similar to artists, you may also have to use the application forms to determine whether the applicant can work together with the chef for extended periods of time. This is one thing unique to apprenticeships thanks to the system’s nature of having apprentices work in close proximity to professionals. You can also find examples of apprenticeship application forms used to secure apprenticeships with carpenters. After all, carpentry is one profession in which people are expected to work with their hands, hence the need for your application forms to ask whether applicants have any experience with the necessary skills. 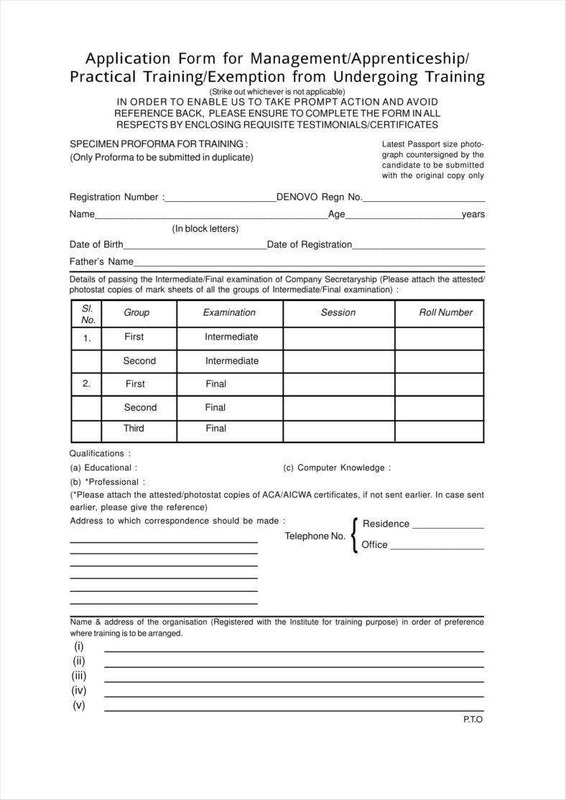 For example, the application forms may also ask applicants if they have learned basic skills from a technical school. 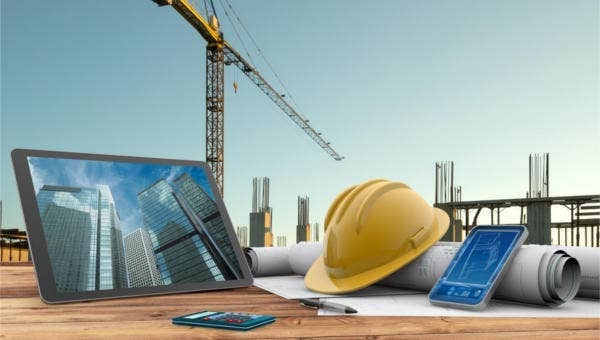 After all, it would be of the utmost importance that the applicant has a basic background in those necessary skills in order to achieve the proper goals of the apprenticeship. With the information above, you should have a more clear idea of how to use these apprenticeship application forms. This can be vital information for you, as an apprenticeship is not quite the same thing as one for a job or a scholarship, so it would help to know how to distinguish between them all.